Being able to escape the city with the loud cars and cell phones is something Quinebarge campers have been doing for years. 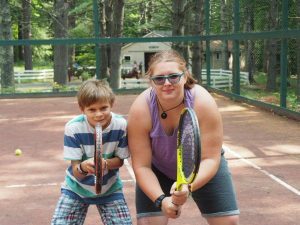 The beauty of New Hampshire and the removal of technology really helps a camper focus on making friends and having a lot of fun. There is no better place for New York Campers to spend a summer than at Quinebarge. At Quinebarge we use two words a lot: fun and friends. While at Quinebarge your camper will make lots of friends and have a ton of fun. With the pressures of the outside world, kids everyday have trouble making and keeping friends. 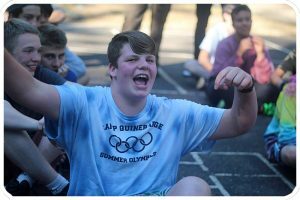 At Quinebarge we help our campers integrate into the camp life and build friendships with their cabin mates and the rest of the camp. We do this through ice breakers and other bonding activities starting the day campers arrive. Then we check in daily with your camper and counselors to make sure he or she is making some of the best friends they will ever have! 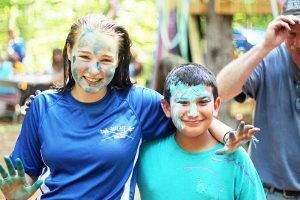 One of the bigger differences between Quinebarge and other camps is that when your camper shows up to Quinebarge THEY choose the activities THEY want to do. With custom schedules our campers are doing exactly what they want to do all day long, learning new skills, improving at others and so on. The result of this type of scheduling equals FUN! With most of our activities offered outside, along with Arts & Crafts, Ceramics, Drama and other activities inside, your camper gets fresh air and enjoys the great outdoors all day, every day.